Modular design to enable a wide variety of applications. Zero malfunctions and minimum maintenance. 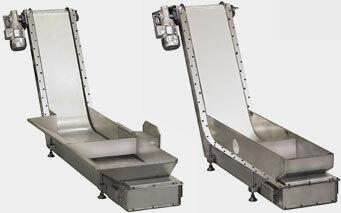 Friction-resistant stainless steel conveyor surface. Magnetic system and drive motor system specifically designed for the material to be transported. Permanent magnet system which creates a strong magnetic field through the upper sheet and the material to be transported. The material is attracted to the conveyor hopper. 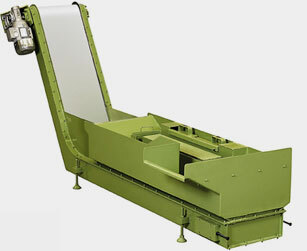 The conveyors are manufactured with standardised heights and widths. The angle of tilt can be either 30º, 45º or 60º.